Sometimes it seems like spring was never here at all. Before you know it, the warm summer air will roll through your Frisco, Texas property like a tidal wave. But there’s no need to fret; it’s time to get out and enjoy your backyard again. Especially if you have an outdoor entertainment system to call your own. Of course, not all outdoor theaters are created equal. In fact, customization is part of the fun. But there are still essential elements that you’ll want in any outdoor space. If you want to learn how to craft the ultimate outdoor theater, this is where to start. Ready to learn more? Just keep reading. Whether you want to host a tailgate for the next Cowboys game or boost your kids’ upcoming pool party, an outdoor media room can give an added reach to your favorite entertainment. 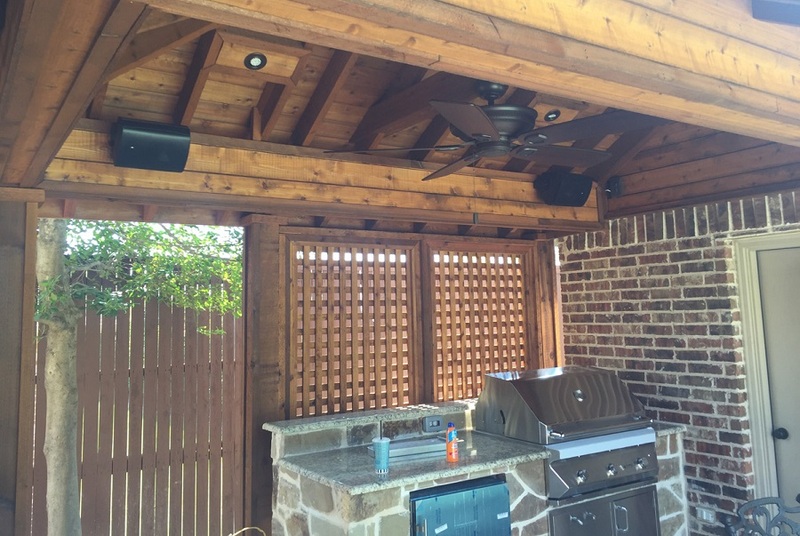 Many people begin with a few speakers and an outdoor TV installation. But to have a really unforgettable entertainment space, you need to make sure you give your brand new television the support it deserves. When installing a media room outdoors, make sure you answer these questions before getting started.